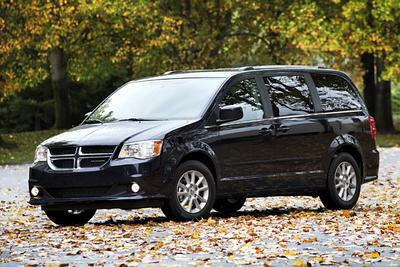 We looked at several vans before buying the Dodge Grand Caravan GT. We got some options including heated seats and steering wheel. This has been a wonderful car for our kids and the stow-away seats allow as much space in the back as most truck beds. It rides smoothly and has many features that older vans do not, including back-up camera and navigation system built in. 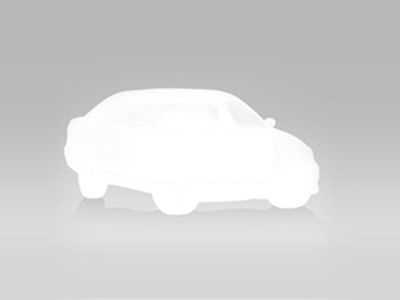 We recommend this vehicle to anyone interested in lots of storage. So far, we love it. Great sound system. Easy to load kids in and out. Love the ability to easily stow all of the seats. Overall it's a very good van. I purchased this as a work van - its a cargo version of the Dodge Caravan. No frills with front seats only, yet its still comfortable to drive, drives well, has great pickup, and looks good. Works great for my needs. Spacious, accessible, great storage however components malfunctioned. Seats had to be in a specific setting to be tucked away or else the skirtings wouldn't properly fold. Front seats had to be moved completely forward for middle seats to be Stowed away. Door sensors would malfunction and close on passengers. Rear window had to be closed before opening door. Window motors gave out very quickly, before 50k. We travelled 200 miles to look at a used car. Thanks to Dominic and Carbone, it was worth the drive. The car was ready for us to see and test drive, Dominic was helpful and knowledgeable. We made the deal and couldn&apos;t be happier. Mobility and enough room to travel. The van has a very nice sleek look and came with much more options than the one we traded in. Just love it. A good vehicle and nice space for the money. This van met all of our needs for a family vehicle for a family of 5 including family vacations and moving kids back and forth to college. A lot of space and the best value for the a versatile vehicle. Seven seats and good entertainment options. Liked the process with my trade in. Fast forward to a great deal. Thanks. Ben was quick and sensitive to our time constraint. He found the Tahoe we wanted. Highly recommend Ben at Sun Chevy! by Jim D from Morrisville N.Y.
Didn’t know there were still dealers out there like this! Friendly, knowledgeable, fair, honest, professional! Just picked up our car today and the whole process went smooth! Greg Cunningham was a joy to work with! The sales team, extremely knowledgeable to all my questions, and product line. Comfortable sales experience, not a pressure sales environment. Sound and reasonable valuation of my trade. I could not be more satisfied with my purchase from Sun Chevrolet. This vehicle body style hasn’t been updated in more than 10 years. It’s basically a cargo van with seats. But it has stow and go so the entire area behind drivers seat can be made into a cargo area or in our case for our dogs to take trips in. The only other newer van that does this is the Chrysler Pacifica and there are very few used ones available in a reasonable price range so this vehicle was a good choice as an alternative.